Winslow Homer 1873 "Dad's Coming!" 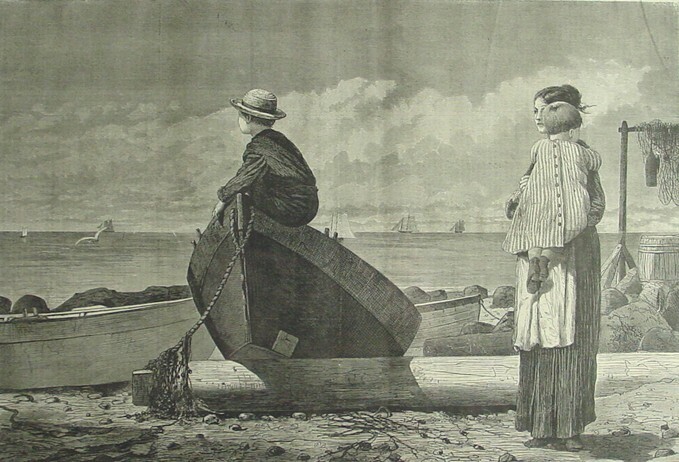 This wonderful sentimental Winslow Homer from his Gloucester series published in 1873 pictures a traditional scene from seafaring New England with the young mother and children watching for Dad's return from sea. Gordon Hendricks in his "The Life and Work of Winslow Homer" refers to this work as the "famous Dad's Coming" and notes that it was based on Homer's oil on panel that is in the collection of Mr. and Mrs. Paul Mellon. 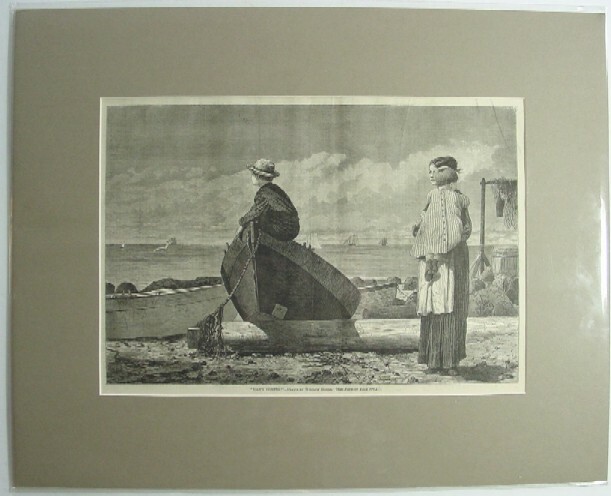 Below is how it will come to you matted to a standard frame size of 16 x 20 inches and enclosed in a plastic sleeve.